The Crescent is an environment where pastoral care and academic progress are given equal weighting in importance. 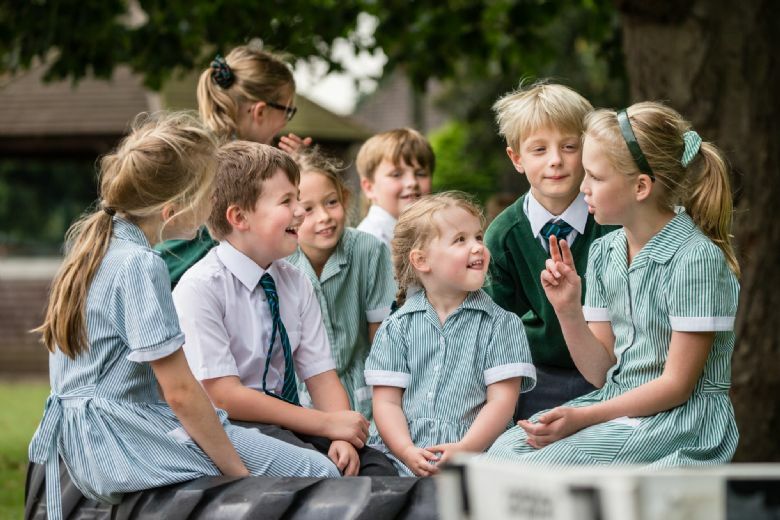 We pride ourselves on knowing the whole child and because staff know their pupils and many of their families so well, children are fully supported in times of need and on a day-to-day basis. Our ‘open door policy’ allows any concerns to be aired and dealt with quickly and effectively. This means that staff are available, by appointment, to parents before and after school all week. At the core of our ethos are the values of love, honesty, forgiveness and friendship. All these values feed into the day-to-day life of our school. Whilst the school has a Christian ethos, and the Foundation is Catholic, we teach the children about world religions through the RE curriculum and welcome contributions from children of other faiths and none. Our children are encouraged to be open and staff ensure that the voices of even the most timid are heard. We have regular ‘circle time’ and sharing sessions which involve children airing their views and any concerns they might have or it can be a time when we celebrate kindness and achievement. Any concerns are voiced in a ‘no name or blame’ culture so that children do not feel embarrassed and this often results in a huge amount of honesty being portrayed. We also run a School Council that meets regularly. Children from Classes I to VI discuss the minutes of the last meeting with their classes and then feedback at the meetings on any new ideas their peers have had. This has led to a variety of initiatives being put into place, not least the writing of the new School Promise. This has taught all the staff that the children do see the school from a different viewpoint and that their voice must be heard. The children elect their student councillors in class twice each year. Every Friday morning our school community comes together for a ‘Celebration Assembly’. This is a time when we celebrate achievement, effort and success right across the curriculum and often includes rewards for behaviour, kindness and out of school achievements, once again ensuring that the efforts of the whole child are valued and respected.